Thanks to the masses who came out for the 2018 WIZARD WEEKEND in Atlanta. We saw many new faces, along with reconnecting with lots of friends and we truly appreciate everyone for braving the cold and wetness to help make both events truly magical! With that being said, PHOTOS! 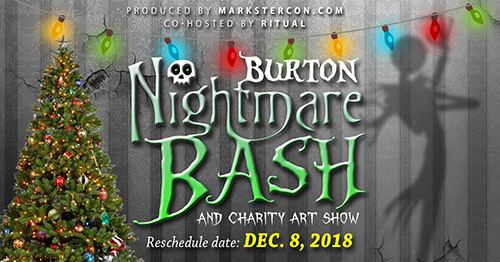 During this one night party in Atlanta we encourage attendees to unleash their inner Burton and embrace the world of weird (and amazing). Costumes HIGHLY encouraged (but not required). Dress as a character from the world of Burton or improvise and create one that you just might see in his creepy yet beautiful world. Or wear an outfit inspired by the Burton world. 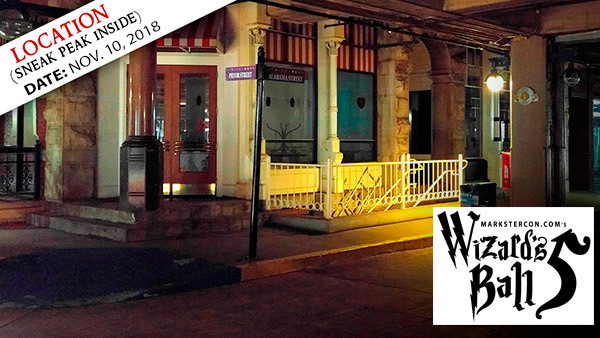 Location of WIZARD'S BALL V confirmed! 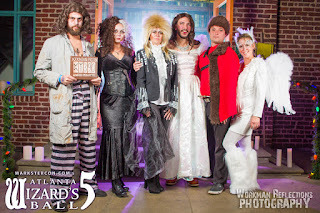 For those that attended last year's WIZARD'S BALL (4th edition) they were able to be transported into an immersive, one-of-a-kind party experience as Markster Con was given exclusive access to the currently vacant "underground" mall portion of Underground Atlanta / The Masquerade. 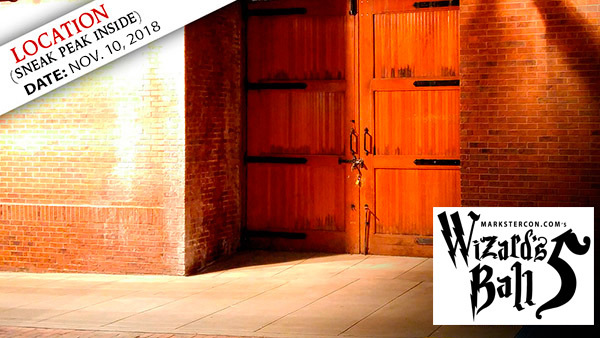 That space was an amazing, open space that offered us the opportunity to indulge in a whole "dark wizard" feel and also offered up some truly great photo ops in addition to lots of room to dance, mingle and socialize. After recently talking to The Masquerade's management and how last year's space worked out, we've been invited to return to this space! This still vacant mall space is secured to the outside public, has an attached parking deck and will allow us to both expand the event and also give attendees to the Nov. 10th event another magical experience. Store fronts, street signs, lots of brick walls, and actual streets (all indoors)! 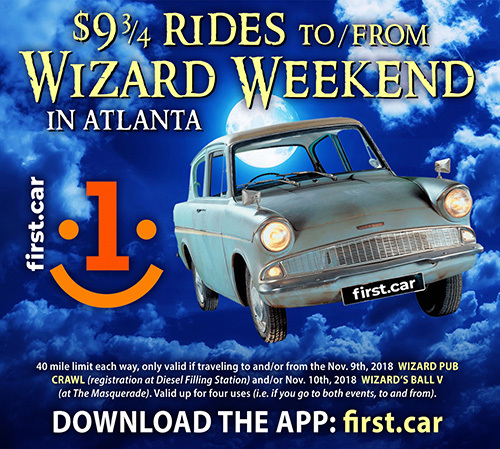 If you haven't secured your tickets yet we suggest you do via www.Eventbrite.com – there is also a "Combo" option (21+) to both the Nov. 10th WIZARD'S BALL V (18+, non-smoking) and previous night's POTTER PUB CRAWL (21+) in Atlanta's Virginia-Highland. Such a magical evening! Thanks so much to the masses who came out and shared in the 4th annual WIZARD'S BALL with us. 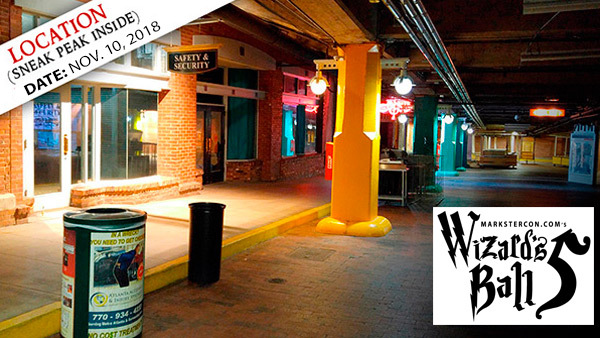 The venue, the now vacant underground mall area of Underground Atlanta, worked out exceptionally well and attendees really seemed to enjoy the immersive environment we created. A special THANK YOU to the volunteers who helped with set-up and tear-down as well as The Masquerade's staff for helping make this event possible. In addition Radio Cult, The Fandom Nerdlesque, DJ Caz10 and DJ Seraph for their performances during the evening. It was a magical time in so many ways and we can't wait for #5 in Fall of 2018! PHOTOS: Please feel free to tag and if you repost, please make sure to give both the appropriate photographer credit as well as sharing a link to www.WizardsBall.com in your description. Making your own wand for Atlanta's 4th annual WIZARD's BALL on Nov. 18th is actually quite easy & affordable. All you really need is a wooden stick (dowel, chop sticks or even a small brand off a tree), hot glue gun, paint & any adornments you want to add to make it your own. There is no "right" solution so have fun with it! 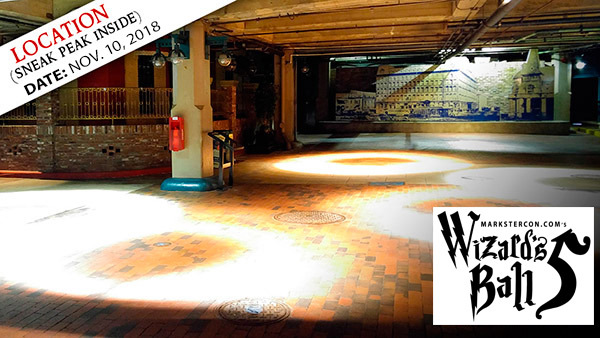 Just under two months to go until the Potter Pub Crawl (21+) on Nov. 17th and Wizard's Ball 4 (18+) at The Masquerade (new location) on Nov. 18th! Get your adv. tickets now by clicking HERE.